A 24-year-old woman currently being detained by Immigration and Customs Enforcement went into premature labor and delivered a stillborn baby. The woman, from Honduras, was six months pregnant when she was arrested near Hidalgo, Texas, last week, a joint statement from Customs and Border Protection and ICE said. 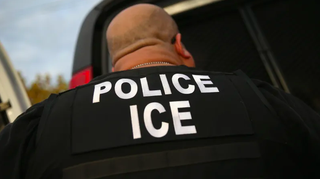 ICE is facing scathing criticism for its treatment of arrested migrants, and this latest incident only raises more questions about whether detainees are receiving proper medical care. Earlier this month, a 45-year-old man from Mexico died in Border Patrol custody after seeking medical attention twice. In December, two migrant children, ages 7 and 8, died in custody. In the statement, CBP and ICE said the woman was arrested on February 18. She was taken to a hospital and released on February 21 after receiving two medical screenings. As she was being “processed for release,” she began complaining of abdominal pain, and was sent to the hospital on February 22, which is when she went into labor. Following an executive order from Donald Trump, the policy for detaining pregnant women changed from “presumption of release for all pregnant detainees” to determine whether to detain pregnant women on a “case-by-case” basis.